It's my daughter's birthday! In honor of her I will counsel you to do what you love with enthusiasm. When you get excited about something you will almost invariably do it better than you would if you are bored about it. Be excited and have fun. By the way, you have my permission to go out for pizza after practice today! (Of course, some other people, like your folks, might have more to say about that than I do, but maybe they can provide some other treat if pizza is not appropriate.) Also, happy birthday, Adriana! 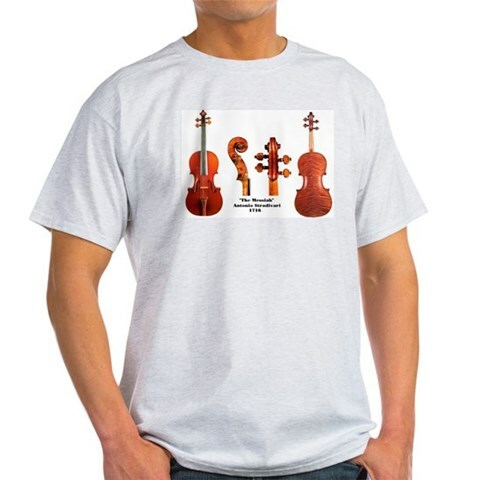 A Great Shirt for a Great Violin. 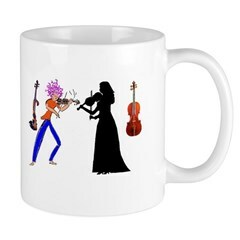 Just one of Many Items Available at Our Store.